If so, you are in exactly the right place! Just over a year into my business, I realized that winging it was no longer going to work if I wanted to keep from being overwhelmed and occasionally breaking down in tears. I constantly had clusters of in-process orders all over my workspace with very little rhyme or reason as to the flow. I would say it was "organized chaos," but I think that would be too generous! 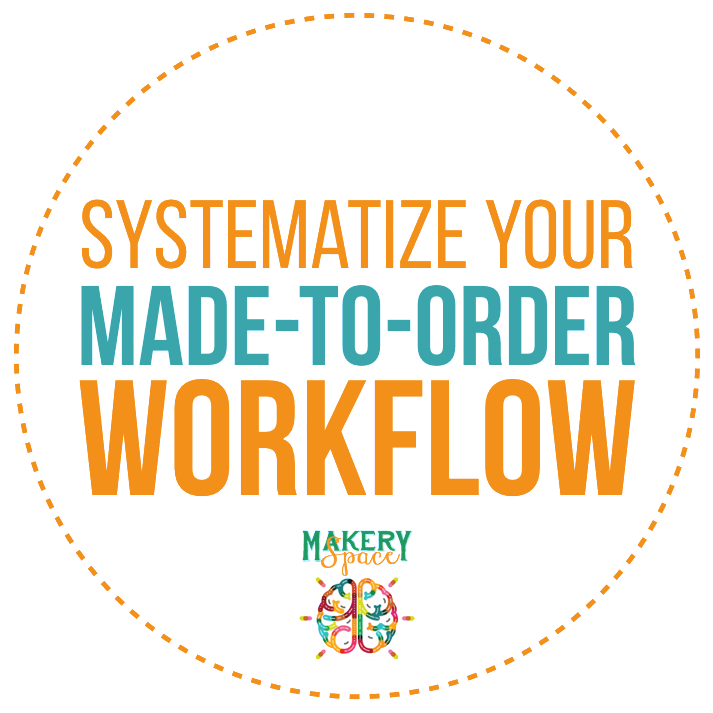 Over the course of a few weeks, I developed a system that completely changed the workflow of my made-to-order products. To this day, it keeps me 100% aware of where each in-process item is located in my space and ensures that (barring an emergency), it will be finished by the date it is scheduled to ship. The system takes a little bit of setup and discipline to implement, but once you have it tweaked to fit your needs, it becomes second nature. I hardly even have to think about it anymore, but it's still just as effective as it was in the beginning. And it truly keeps me from completely stressing out during the busiest seasons of my shop. That's a great question. I don't want anyone spending money on a course that's not a good fit. Definitely not. While the order printing screencast in Module 2 is Etsy-specific and there are a couple of mentions of Etsy, the principles of the system I'm teaching can be applied to any business that fits the criteria above. Regardless of the marketplace or platform where you sell or if you have your own independent site, my system can be adjusted to suit your needs. But I only get a couple of orders a week and it's easy to keep track of the process. Why would I need a system? I didn't have any issues with chaos in the beginning, either. But by delaying a workflow system, I created a lot of headache for myself once the growth came. While you may not currently feel the pain, establishing a process now can prevent - or at least greatly decrease - the pain later. It's much more difficult to create and implement systems when you're in the middle of desperately needing them!